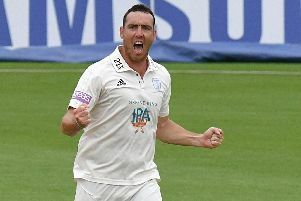 Former South Africa bowler Alfonso Thomas and ex-Hampshire captain Jimmy Adams have been added to coaching set up at the Ageas Bowl. 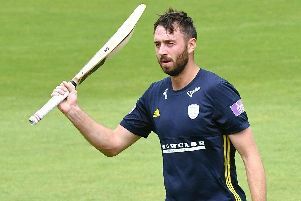 Hampshire captain James Vince has committed his long-term future to the club. 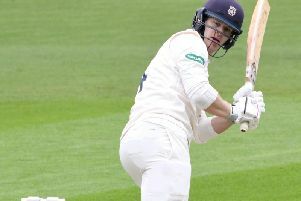 JAMES VINCE crashed his 23rd first-class century as Hampshire put themselves in a strong position in their Specsavers County Championship fixture against Nottinghamshire. 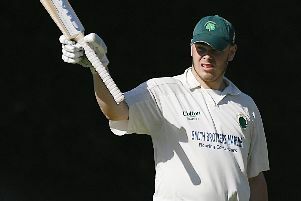 Fareham & Crofton endured a dramatic batting collapse in their seven-wicket defeat against Ryde in Hampshire League division one. 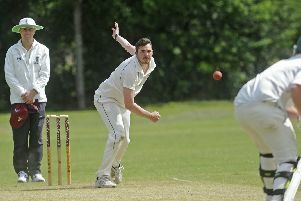 Bedhampton took another big step towards the Hampshire League division two title with a four-wicket win against Basingstoke & North Hants III at Bidbury Mead. 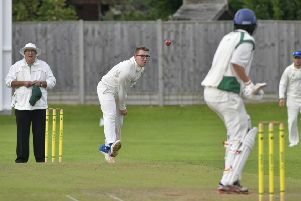 Emsworth maintained their Hampshire League division three south title challenge with a five-wicket win over Langley Manor II at the Recreation Ground on Saturday. 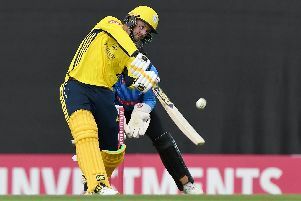 HAMPSHIRE kick-started their Vitality T20 Blast campaign with a 21-run win against Middlesex last night. 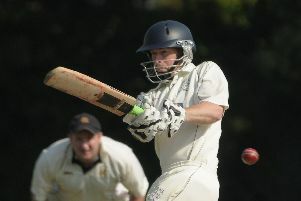 Fareham & Crofton suffered only their second Hampshire League division one defeat of the season as they lost by eight wickets to in-form Hursley Park. 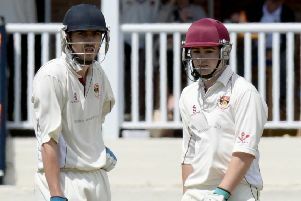 Fareham & Crofton are aiming to consolidate top spot in Hampshire League division one by beating Shrewton at Bath Lane on Saturday. 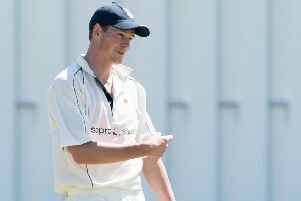 Dan Reader produced a match-winning bowling performance to keep unbeaten Fareham & Crofton at the top of Hampshire League division one. 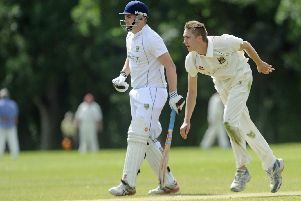 Matt Easton admitted these are tough times for United Services after a thumping 154-run defeat at Parley on Saturday. Fareham & Crofton are determined to make the most of an outstanding start to their Hampshire League division one campaign as they visit Alton II tomorrow. 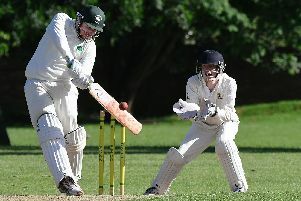 Fareham & Crofton continued their perfect start in Hampshire League division one with an eight-wicket home win against St Cross Symondians III at Bath Lane. Fareham & Crofton are hoping to maintain their winning start as they face a derby at Burridge II in Hampshire League division one on Saturday. 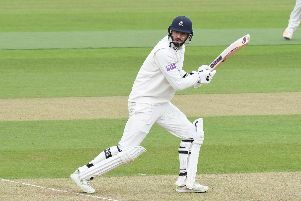 Hampshire's James Vince failed to capitalise on a good start in front of England selector Ed Smith, but Jimmy Adams rolled back the years with a watchful half century on another truncated day against Essex. 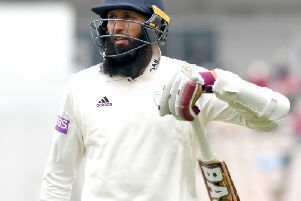 A composed innings of 74 by Scott Borthwick and Ben Foakes’ unbeaten half-century helped put Surrey in a strong position after two days of their Specsavers Championship game against Hampshire at the Kia Oval. 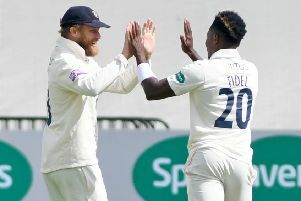 FOUR-WICKET hauls from Fidel Edwards and Liam Dawson put Hampshire in early command of their Specsavers County Championship Division One match against Surrey.